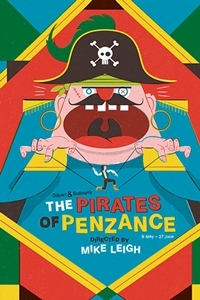 Adults: 8.00, Seniors: 6.00, Pullmans: 10.00 Oscar-nominated filmmaker Mike Leigh makes his operatic directorial debut with Gilbert and Sullivan's much-loved comic masterpiece. Having been mistakenly apprenticed to a band of soft-hearted Cornish pirates, Frederic is released at the age of 21. He soon meets and falls for the lovely Mabel, daughter of Major-General Stanley.